Still Stuck in the Paycheck to Paycheck Cycle? It's Time to Break Free. You are here: Home / Money / Still Stuck in the Paycheck to Paycheck Cycle? It’s Time to Break Free. Still Stuck in the Paycheck to Paycheck Cycle? It’s Time to Break Free. (ThyBlackMan.com) Sick of living paycheck to paycheck? If you’re sick of struggling through the month until payday over and over it’s time to break the cycle, it can be incredibly difficult getting your money under control but one of the best things you can do in your adult life. Whether you earn a little or a lot, knowing how to manage this and survive on what you have is absolutely essential. Get it wrong and you’ll fall into arrears and debt, can have your home and possessions repossessed and generally end up in an incredibly sticky situation. It’s time to make a change, here’s how you can go about it. Being in debt costs a significant amount of money. If you’re carrying balances on credit cards, store cards and other forms of credit every month, you’re paying interest and shelling out money for absolutely no reward. Do whatever you can to get out of debt- tighten the belt on all luxuries for a while, sell assets, work extra shifts- do what you can to pay those balances. This will instantly free up money in your budget. If you’re significantly in debt and unable to pay then speak to a debt company. They will be able to get creditors to freeze interest rates and lower your repayments, making everything more manageable as well as being quicker to pay off. Getting a promotion or a better job is easier said than done. It could be that you need to take on years of education for that, which not everyone can afford to do. Maybe you’re working towards a promotion but it’s a while off. In this case, a good way to boost your income is to start a side hustle. This allows you to earn extra money in your spare time, in a flexible and often fun way. Ever fancied yourself as a business owner? It’s easier than you might think to get started, read some guides online and give it a go. Thanks to modern technology, you can store data in vps cloud storage to keep it secure, and there are thousands of web designers, marketing companies and other professionals online that can help you to bring your vision to life. It doesn’t matter how much you earn, if you’re overspending then you’re always going to be stuck living paycheck to paycheck. Drive an car that guzzles gas as costs you a fortune to insure? Sell it and go with a more sensible, economical model. It might not be the car of your dreams, but if it costs you less then it gives you more money to live on. Live in a home with expensive rent? Have a look around and see if there’s somewhere cheaper and smaller you can move to. 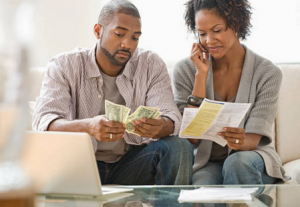 This allows you to live within your means and can make your budget feel much more comfortable. Use a price comparison site to reduce your utility bills. Give up your digital subscriptions, stop overspending on groceries. There are plenty of ways you can cut costs and have extra money left in your budget, some of which you’ll barely even notice if you go about things in the right way.